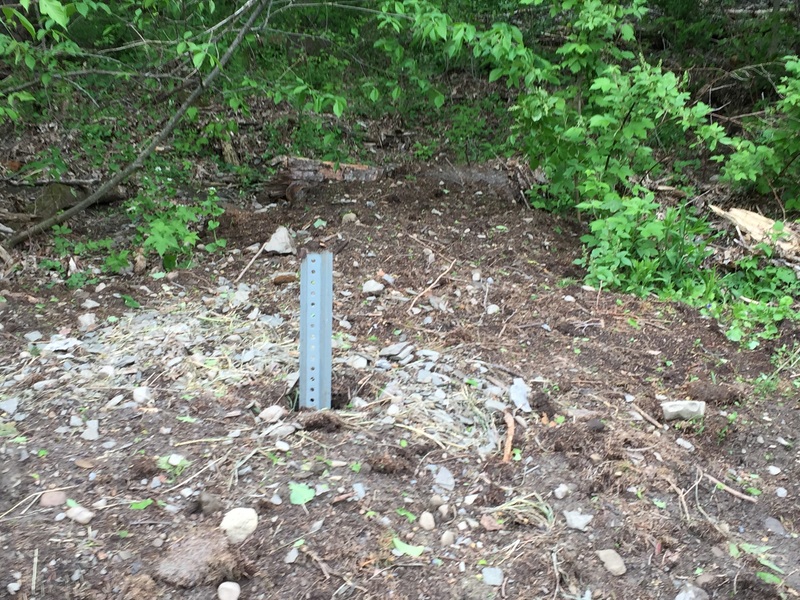 You may recall the old stone pillar along the road that used to be at the end of the driveway of our property many years ago. However, of the 2 pillars from the old sketch, only 1 stone pillar is still standing. The other pillar was missing, presumed destroyed. 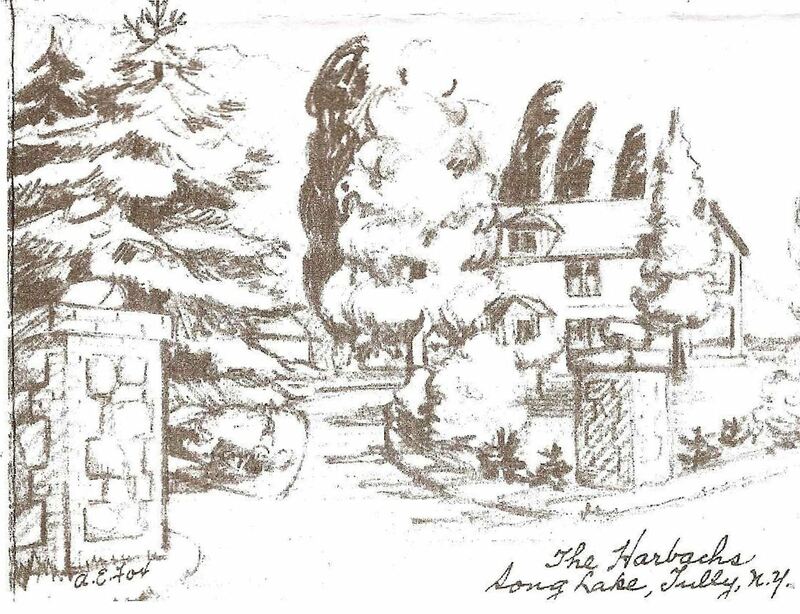 Sketch of our house from the 1950s or 60s. But.. we think we found the other pillar! Click through for the details. We didn’t have to wait too long to test the earthen dam that we built to stop the flooding. A couple of weeks after building the dam, we had two days in a row of constant heavy rain (at least several inches per day). The completed dam in the dry before the test. Click through to see how the dam handled the heavy rain. 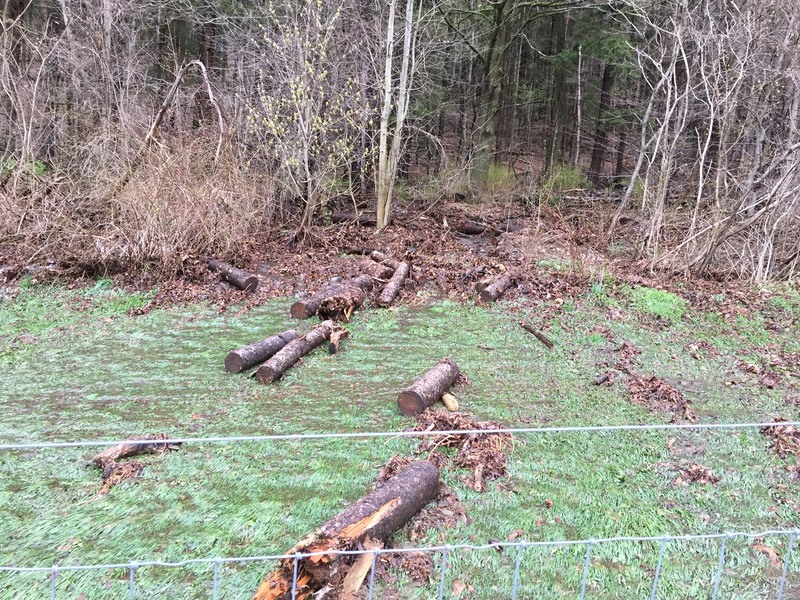 Following the earlier flooding, we decided to try to build a small dam to try to block the water, rocks, leaves and other debris from flooding out into the pastures. Here is a reminder of what it looked like during the flooding with water and debris flowing out from the woods. The creek flooding out into the pastures. We stacked up the logs again in the water channel where it floods out of the woods. 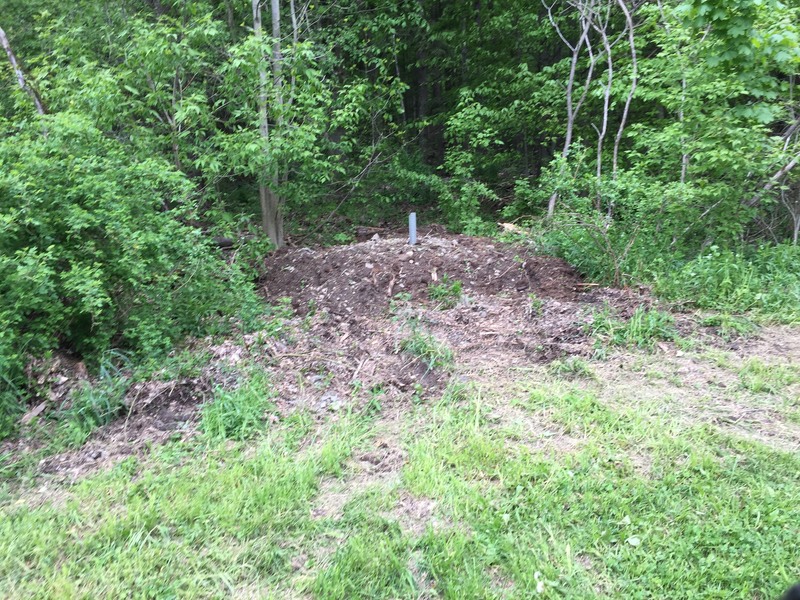 This time, instead of just stacks of logs, we put a metal post behind the logs and covered them with a couple feet of dirt and rocks. Hopefully the post and earthen dam will help keep the logs in place and divert the water and debris. Close-up of the “dam” with metal post holding the logs in place. Click through for more pictures and details. Enter your email address to subscribe to Lucky Penny Acres and receive notifications of new posts by email. Beyoncé’s Wig Glue on Yaks! Beyonce's wig glue on Tiny!